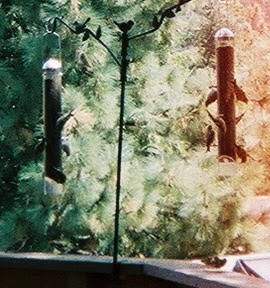 I'd love to plant one in the yard. 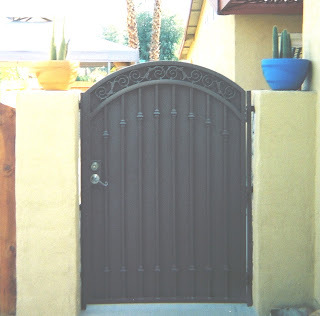 Open the gate and get healthy. Congrats to the film Dreamgirls for the most Oscar nominations. This is a really good movie. I know, I've seen it. You ought to see it too. january 21, dr. mlk's birthday. 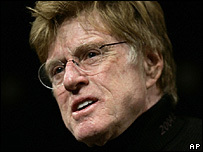 Hollywood legend Robert Redford has called on US leaders to apologise for the war in Iraq. The actor was speaking at the start of the Sundance Film Festival in Utah, where the opening movie recalled protests over the Vietnam war in 1968. 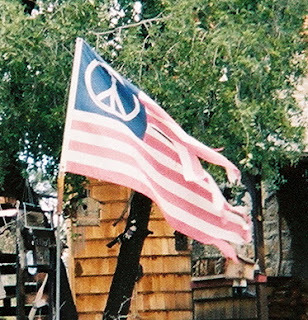 Redford said he, like many others, had shown a "spirit of unity" with the US government after 11 September 2001. "We put all our concerns on hold to let the leaders lead," he said. "I think we're owed a big, massive apology." The actor, whose Sundance Institute for independent film runs the annual festival, usually steers clear of political messages in his opening speech. "Everybody's got what it takes and sooner or later somebody will take it." Dean Martin, from the film, Shut Up and Kiss Me. Go see this movie please. "The National Rifle Association says, 'Gun's don't kill people. People do'. But I think the gun helps." I don't think we need to send more troops to Iraq. I think we need to admit a huge mistake was made. We've failed and we need to admit that too. We must learn from our mistakes that have already been made so that we won't continue to make them over and over again. This is madness and insanity and ridiculous. Please support our troops coming home now. Promote Peace each and every day please. The US Army is to apologise to the families of officers killed or wounded in action who were sent letters urging them to return to active duty. The letters were sent to more than 5,100 Army officers listed as recently having left the military. But this figure included about 75 officers killed in action and about 200 wounded in action. More than 3,000 members of the US military have died in Iraq since the war began. Casualties have also been suffered in Afghanistan since the US invasion. "Army personnel officials are contacting those officers' families now to personally apologise for erroneously sending the letters," the army said in a statement. It said the database normally used for such correspondence with former officers had been "thoroughly reviewed" to remove the names of dead and wounded soldiers. "But an earlier list was used inadvertently for the December mailings," it added. President Bush added a "signing statement" in recently passed postal reform bill that may give him new powers to pry into your mail - without a warrant. WASHINGTON - President Bush has quietly claimed sweeping new powers to open Americans' mail without a judge's warrant, the Daily News has learned. Let's make 2007 a year of peace, democracy, and accountability. I also find listening to the John Lennon song, IMAGINE, daily is a great help. War is most definitely not the answer. Best of everything in 2007 and beyond.